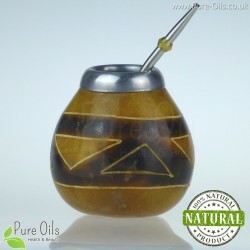 Yerba Mate There are 4 products. National Argentinian drink is gaining more and more supporters around the world. Yeba Mate is an excellent coffee substitute. Drinking infusions has a positive effect on health. It causes a feeling of satiety, accelerates metabolism and reduces appetite, so the body burns fat faster. It also removes fatigue, adds energy and improves concentration. It is a rich source of valuable vitamins, minerals, chlorogenic acid and antioxidants. In the offer of our shop there are Yerba Mate 100% natural, Bombilla and Matero sets - necessary to enjoy the amazing taste. 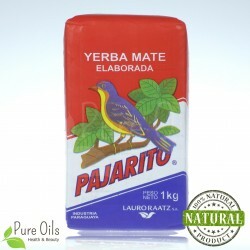 Yerba Mate (elaborada) Pajarito is one of the most popular of yerba mate in Paraguay. Perfectly improves mood, increases physical and mental resistance. It has antioxidant and anti-inflammatory properties. 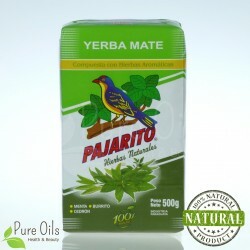 Yerba Mate Pajarito (with herbs) is a blend of yerba mate and aromatic herbs such as mint, burrito and Cedron. Matero and Bombilla is a high quality set of cup made of gorud fruit and spring ball made of high quality stainlees steel. 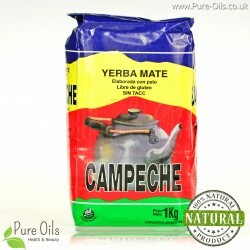 Yerba Mate Campeche is a classic argentine yerba mate that contains cut dried leaves. Perfectly improves mood as well as improves mental and physical performance. This product contains caffeine which provides high energy levels.